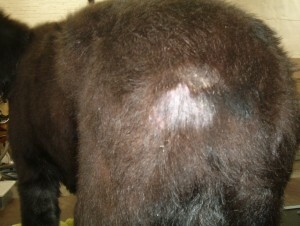 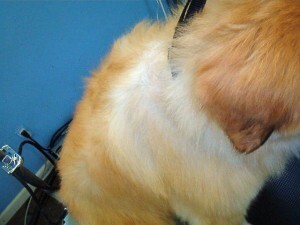 I worked on a dog two days ago who had clipper alopecia. 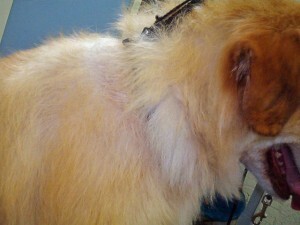 A border collie mix who got shaved by their old groomer for the heat and now the hair isn’t growing back. The owner was shocked that the no one told her about the possibility of it not growing back nor the fact that it had exposed her dog to more heat being bald with no protection from the sun. 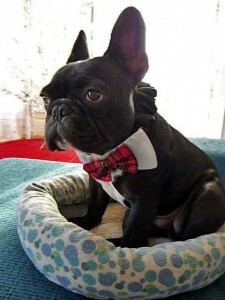 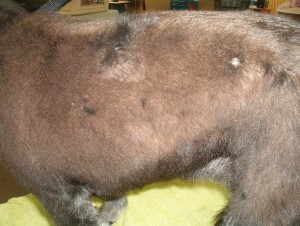 Now her dog’s black hair is growing back grey and in patches. 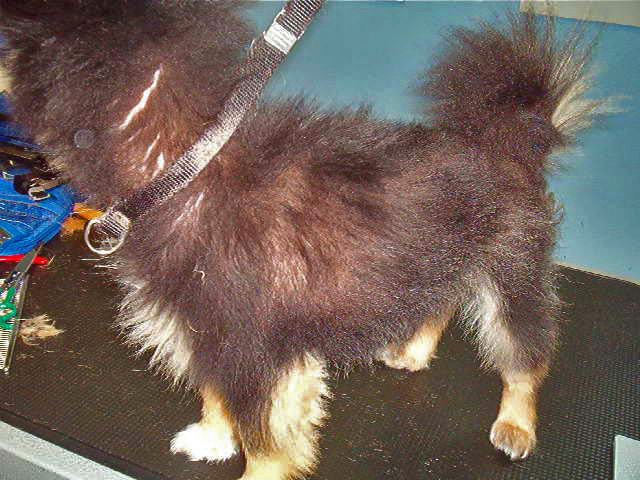 This does happen when a dog with a double coat gets shaved such as pomeranians, huskies, border collies, australian shepards, chows, among other breeds or mixes that have top and undercoats . 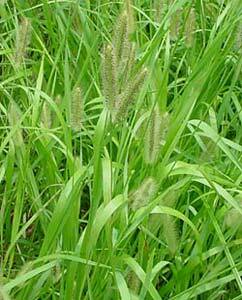 It may never grow back the same in texture, thickness, in patches and peach fuzz like. I plan to get some before and after pictures and for now I will post a helpful link to explain more in detail. 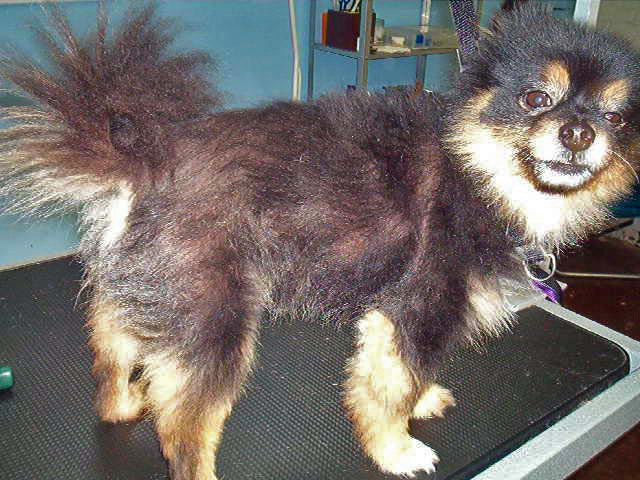 Here is a Pomeranian that gets shaved constantly. The top coat is no longer growing just patches of the undercoat. 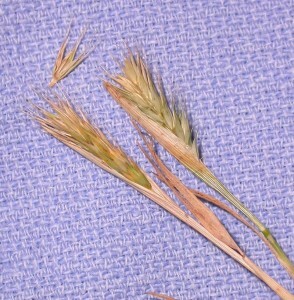 Original black color is changing to a brown color.